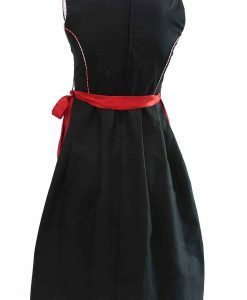 A beautiful black vintage dress with red embroidery. 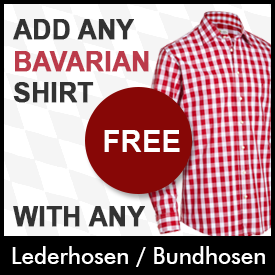 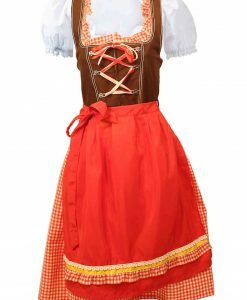 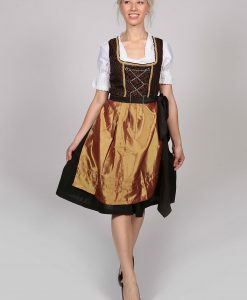 An epic wear for all occasions including Oktoberfest. A silk red apron goes best with this dress. 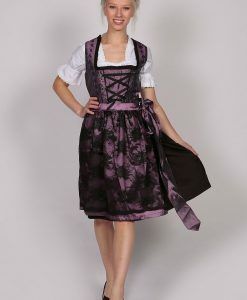 Includes one with dark grey and black printed patterns. 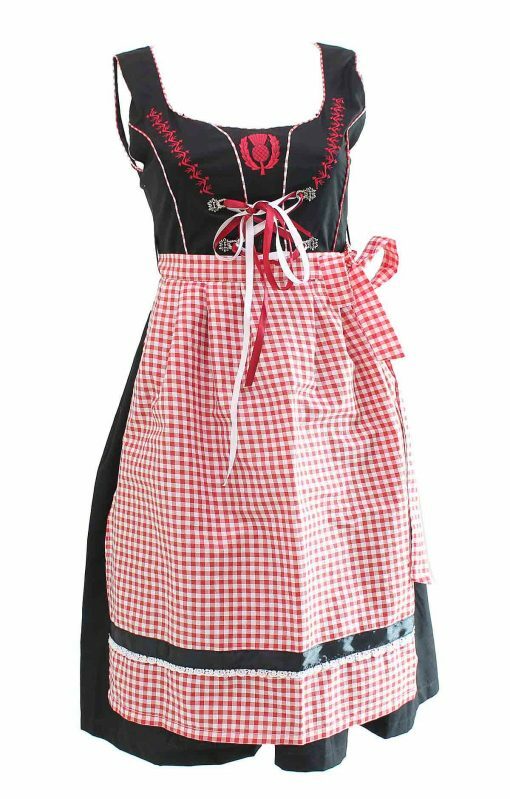 Another apron with a neat red check. 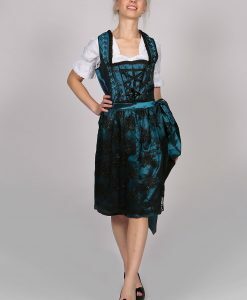 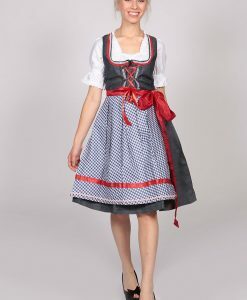 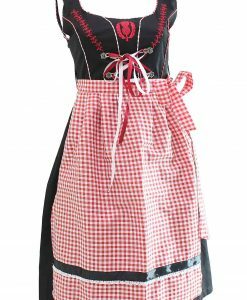 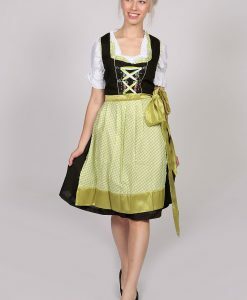 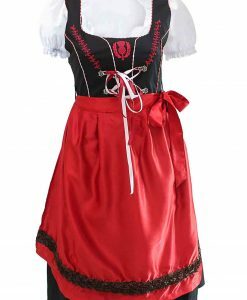 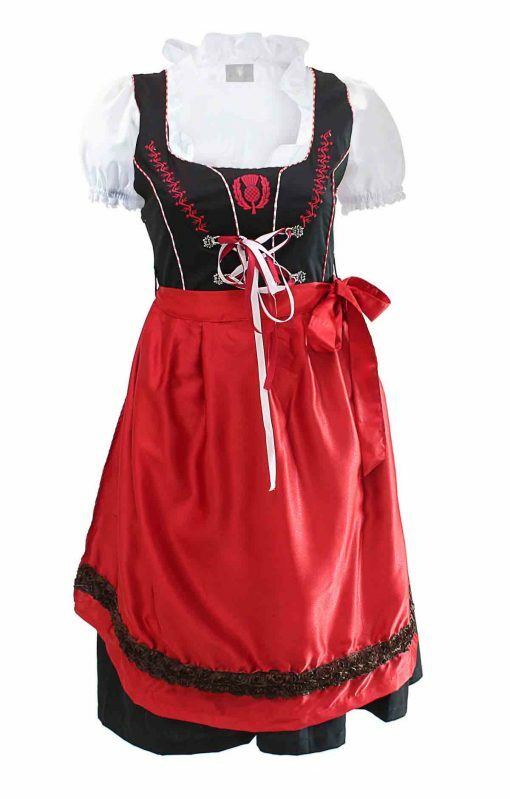 A complete Black dirndl dress with the same bodice and skirt. 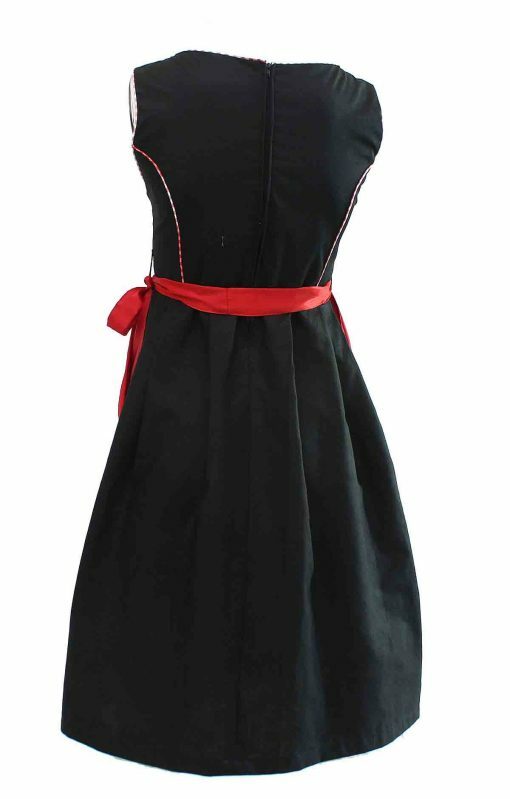 A sleeveless dress with a length that almost covers the knee and would go great with a set of red shoes. 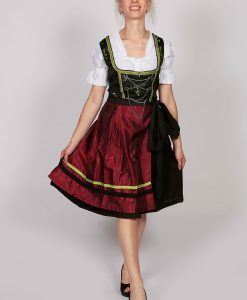 The bodice has a fine embroidery of red running from both sides. 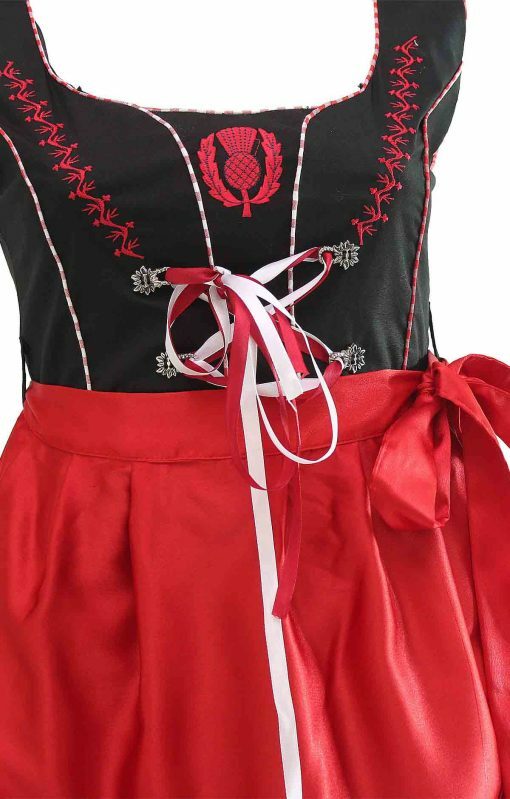 A bunch of red and white ribbon on the waist can be used to tighten and loosen the dress according to your size. 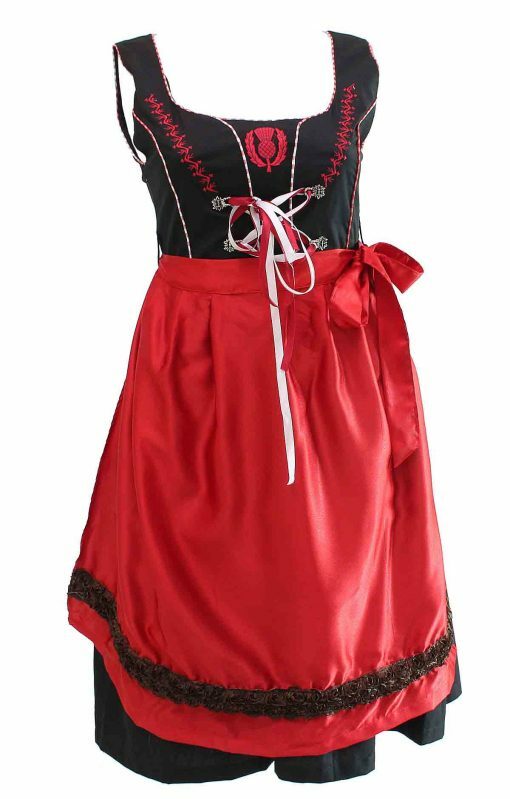 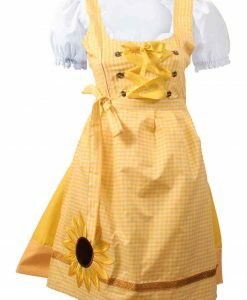 Its, a zipper back vintage dirndl dress. 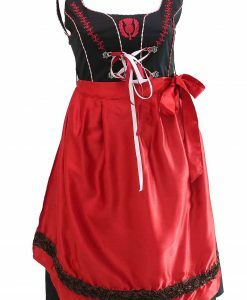 Compliments best with a silk red apron with a black lace. 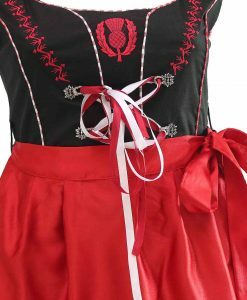 A wide lace runs around the waist to be tied as a neat bow.